Adoptee Restoration: Adult Adoptee Abuse… What Is It and How Should We Respond? Adoptee Restoration: Adult Adoptee Abuse… What Is It and How Should We Respond?. Its been a struggle this week. Well, lots of weeks actually but particularly this one….this moment. Eagle feathers have always held special meaning for me and I’ve accumulated a nice sized collection. All have appeared when my spirit guides have been watching, guarding and all-knowing, that in this particular moment, I need a sign. A sign to continue, a sign to end, a sign to let go, a sign to be still. They answer it all. Yesterday, I went for a short walk and there it was. Slightly hidden out of view with only the very tip showing. Had I not been watching, observing, walking mindfully (which is all you can do when you are carrying O2 and being walked by a blind dog) I would have missed it. The experience of re reading, re writing, re reading again, over and over and over during a mast cell flare is literally indescribable. I’m also awaiting the call to travel to Vancouver for the birth of my first GrandOne at the same time I’m writing again, reading again about when I gave birth and the intense realization of my birth mothers pain. Add in to the mix, National Adoption Awareness Month, National Adoption Day and this years taking back the power to speak by adoptees #flipthescript. The cyber world has been bombarded by post after post from all sides…trigger after trigger…It’s been a struggle, the tears have been many, the illness horrific, the editing exhausting, debilitating at times. There was a deadline but I also wanted it done before I set out to welcome a new being. Though it all, the newest eagle feather sat beside me. I was also fortunate to have a treasured adoptee friend present, although miles away, with words of compassion and the understanding of how it is, what it is and the recognition that even a few words of kindness can make a huge difference…thank you Lucy. The good news is, The Wall of Secrets is on its way! Next step, designing the cover and building my platform which must be stronger for a new launch to a new place. ‘The moment you completely accept your non-peace, your non-peace becomes transmuted into peace. Anything you accept fully will take you into peace. Do you honestly love yourself? Because of relinquishment, trust is difficult for adoptees. 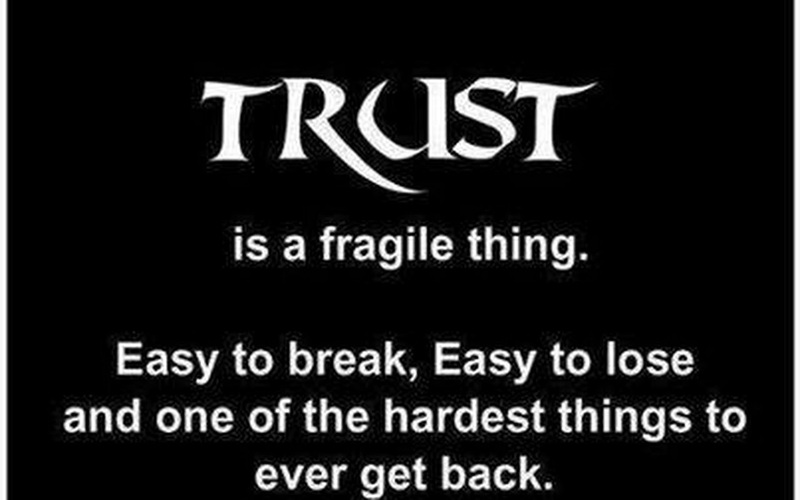 I know everyone experiences trust issues over their lifetime and most are able to repair the damage. With adoptees, that first betrayal never leaves. On top of that you have no genetic markers, no history. 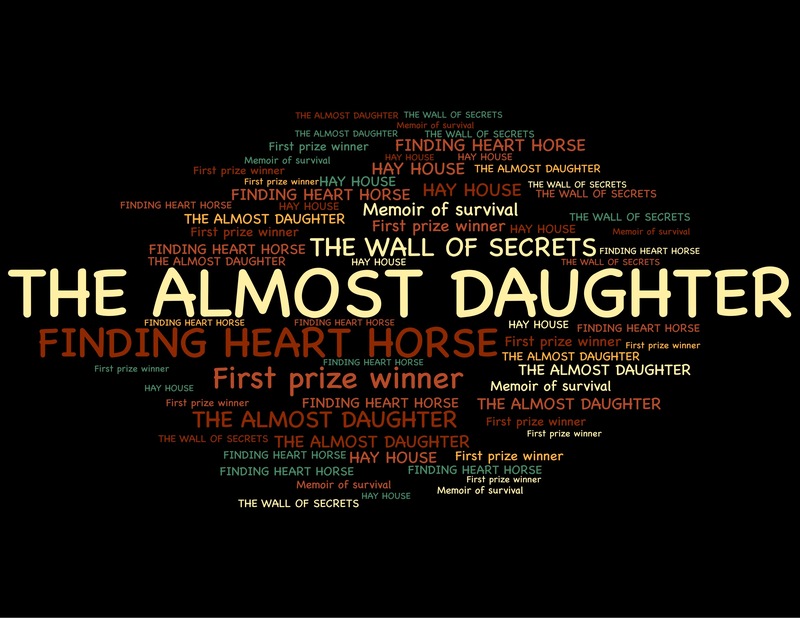 In my childhood I wasn’t able to trust my adoptive parents, and running away experiencing life on the streets as I describe in Finding Heart Horse certainly didn’t foster trust. When trust is destroyed at such an early age in adoption, it takes effort and practice to regain. Whether it’s in reunion, or with relationships in general, everyone has an obligation to “show up” while the relationships are forming, sometimes for years depending on what both sides want. Because of the imprints of distrust on the early neurological system, positive, trusting experiences have to be integrated into the limbic system as well as understood by the neocortex. Deeply ingrained, biological, neurological. So important to recognize this. Continue until……. Sounds complex, not really, just takes time and practice and people willing to stay for the journey. Trust doesn’t mean never having to say you’re sorry. Trust means that you can count on the other person to have your best interests at heart. They don’t have to agree with you, just care about you. Interestingly, the word trust originated in Scandinavia; akin to Old Norse..traust. I’m Scandinavian. In reunion since 2003 when I first heard my biological families’ voices, I’ve experienced the roller coaster that most of us happily jump on, not knowing the psychic chaos it will bring. I opened my heart for the experience, hesitantly mind you. I trusted. Something about finding your mother cracks that locked up heart pretty fast. Unfortunately, every time I started to relax, and trust that I was accepted as part of an already established family, something would happen to fracture the relationships. Ten years later their lives remain constant, as they were before my appearance and mine has completely changed. One by one they left. At the worst times possible, when I was most vulnerable, right after the death of a friend I was “unfriended” for speaking up. A sister needed to “look after herself”. Sometime later I was told I wasn’t “ready for a sister relationship” and unfriended by another sister and lastly the trust I had built with my brother was smothered by anger at a time I desperately needed a brothers support. A statement made in an adoption group that was referring to bio family, not meaning the immediate family, shattered what I thought was family. How could that be? I trusted. History won. I lost my family. Would I ever trust again? How many times can one be rejected and still keep an open heart? I often think of the “what ifs”. 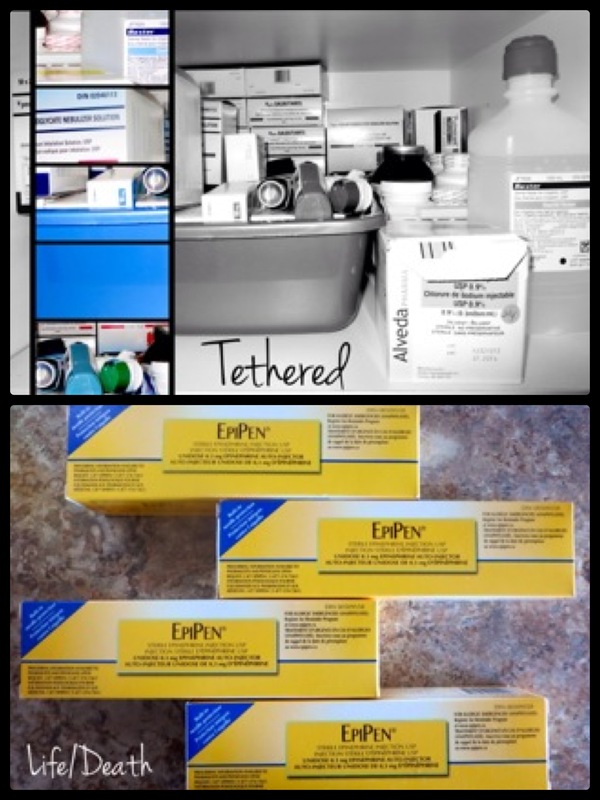 Had I known what to expect, had I known how physically ill I was then (many of the symptoms such as exhaustion, constant crying, were due to mast cell degranulation), had I been medically treated, had I not pushed myself over the edge energy wise, had we worked as a family to heal, had I not had my heart broken….had I not found my mother only to lose her…what if……. Part of trust is respect. One must respect and love themselves first, then you can love and respect others. Most of us need to go right back to the basics and learn to love ourselves first. So how do you build trust? In yourself and in relationships? You have to know yourself first. Trust yourself to do the right thing. Believe in yourself. Understand that you can survive on your own. Face your Demons. Be vulnerable but selective with who you share with. Acknowledge your accomplishments. Adoptees need to remember life isn’t black and white! Resolution is possible. We need to push through the fear of being hurt again. Let go of the past. Stay in the now. Focus on what you want today not next year. Trust takes time. Go slowly but go..
…permanently to tubing supplying my air. The subject of my words was to be my battle with Systemic Mast Cell Disease in order to educate. I feel all of those examples above. Out of the the last few months only a couple of weeks have been spent at home. 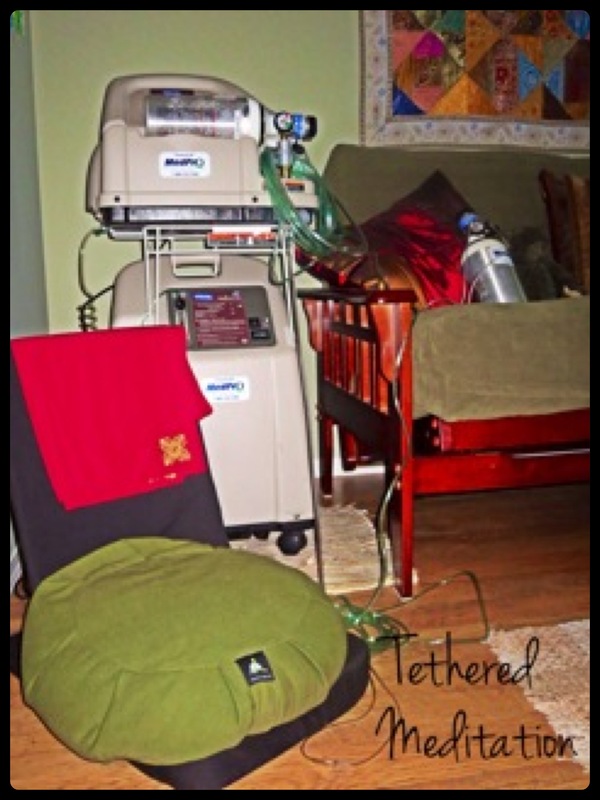 I was tethered in a hospital to more than one tube. 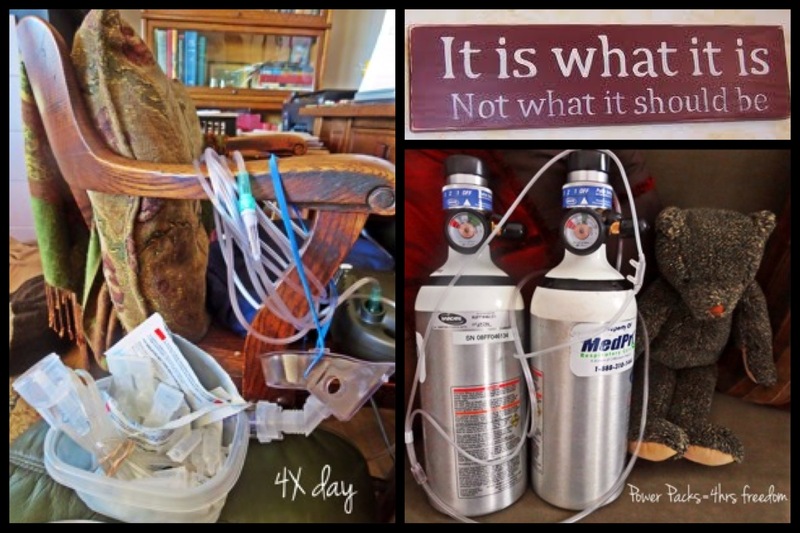 My goal was to describe my experiences of hospitalization and the reality of now requiring constant oxygen because mast cells have taken over a pieces of my lungs. One more organ in combat with mast cells for survival. A metaphor for life in general. To beliefs, to thoughts, to emotions, people, situations. It all relates to being attached. This is my new normal. Just as with each layer of trauma peeled away in my writing of the two memoirs…a new normal emerges. It really is up to me how to live in this new place. It can go either of two ways: curl up on the couch giving in to the idea…or: adapt to life and living, only in a different way. To fight and grow and accept what is. To learn to live around the coils of tubing or thoughts and beliefs and change what I can, when I can. I also relate this to living with the effects of trauma. Adoption, abuse, rapes…. It all ties us to the pain of suffering and if we chose to remain tethered to the past or our thoughts about it and belief systems. the sun rising in the sky. When you find your thoughts heading towards the couch, challenge them, ask if it’s really true or can we perhaps do one thing today, even if it’s getting off the couch and moving to the chair. Is it true you are really tethered, or is it your thoughts that are confining you. I’ve had a lot of practice with challenging my thoughts in the last few years. Adoption reunion, recognizing your deeply ingrained belief systems, pulling them up to examine them like roots on a tree, one by one. It’s not easy work but then, being attached to something that causes you pain is the alternative. Toni Bernhard in her book How To Be Sick quotes her favourite Zen Haiku Master, the eighteenth-century poet, Kobayashi Issa. He suffered terribly with many losses and yet managed to write many haikus, some of which will always bring a smile. She states, “Zen helps”. The last line tells us what we constantly must remind ourselves of…nothing is certain. Dew quickly changes before our very eyes and so does life. And yet, and yet, and yet…. “dew” can be illness, adoption, trauma…..and yet, and yet…. Love seeing the blank writing space before me! My fingers shake and my eyes are prednisone blurry. Slowly, I’m resurfacing. As most of you know, I’ve been hospitalized most of the last several months dealing with Mastocytosis reactions/complications which I will write about next. Today, I’m just dipping my toes in to the cool word stream. waits patiently in the wings to be born as my strength allows.. I was so sure I would be able to stay away from the computer today. So sure, so determined. Here I am, unable to “not write”. I’m usually pretty good at not letting “special occasions” get to me now. It’s taken a lot of work and reprogramming of those deep-seated beliefs. Mother’s Day, of course is a tough one when you haven’t had a mother. Yet, here I sit. The Almost Daughter..one of the thousands of Motherless Daughters. Hope Edelman wrote a book called Motherless Daughters: The Legacy of loss. She was writing about the death of her mother but the loss applies to those of us who have lost our mothers from birth as well. We also are motherless daughters in a different sense, especially if you didn’t have mothering in your adoptive home. “There is an emptiness inside of me–a void that will never be filled. No one in your life will ever love you as your mother does. There is no love as pure, unconditional and strong as a mother’s love. How does one begin to understand or explain the depth of what it means to have never experienced a mother’s love. For the last few days my news feed has been inundated with pictures of flowers and dinners and moms and children. I look at them and smile, happy, that for them, the day holds memories of nurturing and love. Inside..deep inside..there is a place that screams of loss, of pain, of not knowing what that feels like. Of recognition that I will never know. My adoptive mother never wanted, nor should she have had children. There was no nurturing there, no love, only the harsh reality of not being wanted which was reinforced daily. I have great compassion for her now. She’s been dead for years and I have forgiven. Of course, none of its forgotten and the wounds still spill out their pain every now and again..like today. I met my birth mother in 2003 after searching over most of my life. I was 50 and terrified to meet this woman who gave me away. It doesn’t matter why you are given up. The primal wound still exists. The in utero knowing of “not being wanted” the energetic connection that was severed early, even before I entered the world. She never saw me. She never named me. I never existed. She lived in my heart and I lived nowhere. I moved my life across the country to get to know “my family, my mother”. Life changed forever when I got that first call that there was a family. A family that had existed all of my life but without me. Thirty years before that, I had found a cousin. Everyone knew I was looking except my siblings who never knew I existed. I often wonder if we had the fortune of meeting then, would things be different? Our kids could have grown up together. We could have grown up together. It would have been 30 yrs less of secrets and lies. Would we have been able to heal at a younger age? Would my mother have loved me then? Would she have been able to mother me then? So many would haves, should haves, could haves. Don’t get me wrong, I do believe things happen for a reason and I suppose the time wasn’t right…but then when is it right? There is never a right time to expose a secret for the one who holds it close. I will never get over the loss. I try to embrace the tiny bits that emerged to connect us. She loved horses and of course Finding Heart Horse describes my passion for horses and my search for my Heart Horse. We both had a standard uniform of white shirt and blue jeans. The first time I saw her picture I was speechless. It was like staring in a mirror. Never before had I seen myself reflected back so vividly, so genetically. My daughter was my first biological connection. I can look at our pictures now and see the resemblance but for the longest time I didn’t know what “I” looked liked so couldn’t see me, in her. The Almost Daughter: my real mother died 9 months after I moved across the country to get to know her. On this day, mothers day, 8 yrs ago. I never got to be mothered. I never had the chance to be her daughter, nor she my mother. As I’m writing I understand why I’ve fought so hard NOT to write on this day. It’s difficult to express authentic emotions in our society. We tend to push them down and not release them. We speak in social talk which I’m so not good at anymore, nor do I want to be. In the adoptee world the social talk is translated into meaningful connections with honest words. Much has been talked about with the work up to this day. I thought I could just let the day be a day.. I found my mother and lost her all in the same breath, on this day. I hold great compassion for her as well. How terrible to have lived with that “secret” for all of those years. How painful, what a terrible loss to hide from everyone. I had to “grow myself”, raise myself in an environment I was never meant to be in. Even running away at 15 didn’t solve the problem. I grew up on the streets looking for where I belonged, where my family was, where I fit in. The Wall of Secrets has finally been submitted and the self publishing process begins again. Perhaps you will understand me better knowing my journey or perhaps you aren’t really interested, it doesn’t really matter either way. This journey, my journey, my healing, is the gift I am able to give to my daughter on this mothers day and that’s all that really matters. 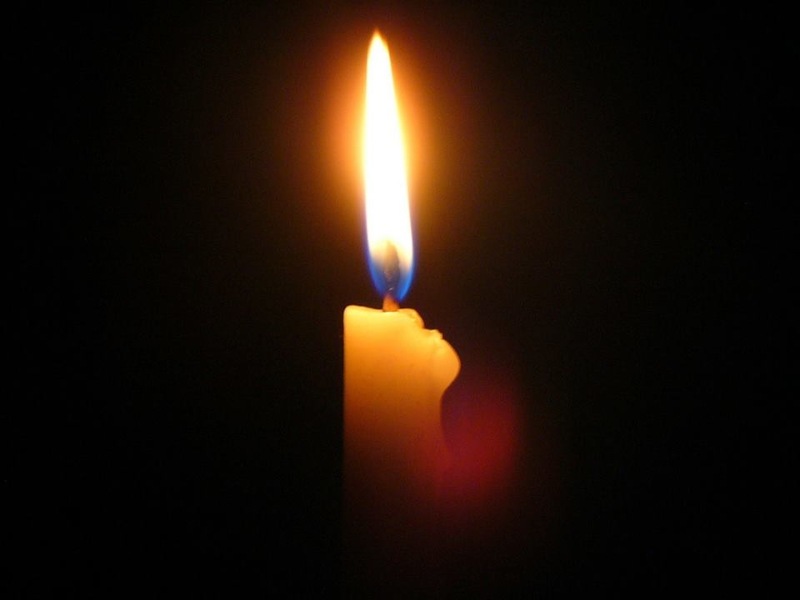 To all of us..To the Motherless Daughters and Sons of adoption and death I am holding you all in my heart today as we grieve our loss together. When you write your story, bear your soul, your heart, your life with the world there is no going back. Brene Brown says vulnerability=courage. The more vulnerable you are with others in life the more you become filled with courage. Most of you know the back story, have watched the video and now will hear the interview. Yet, I still feel very vulnerable. I also am filled with courage. today the self publishing process has begun.